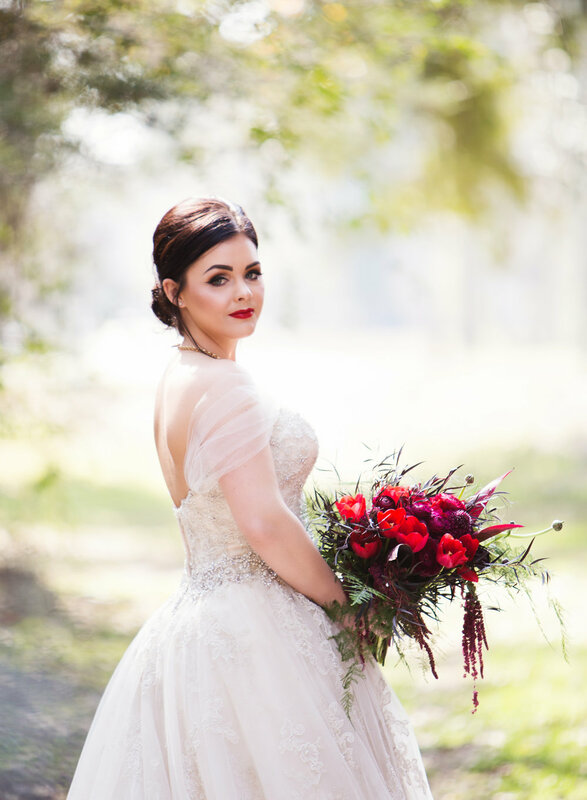 From the breathtaking Windsor Ruins to the gorgeous gowns courtesy of Magnolia Mairee Bridal Boutique, Virginia of A Day To Remember Wedding & Event Planning, LLC brought magic and whimsy into this styled editorial. I am very honored to have been a part of it! You can see the full editorial in Volume III of Southern Celebrations Magazine. "Fierce. Beauty. Vintage. Woodlands. Romance. When you're madly in love, your romantic aura is fierce! You want to capture that essence for eternity. 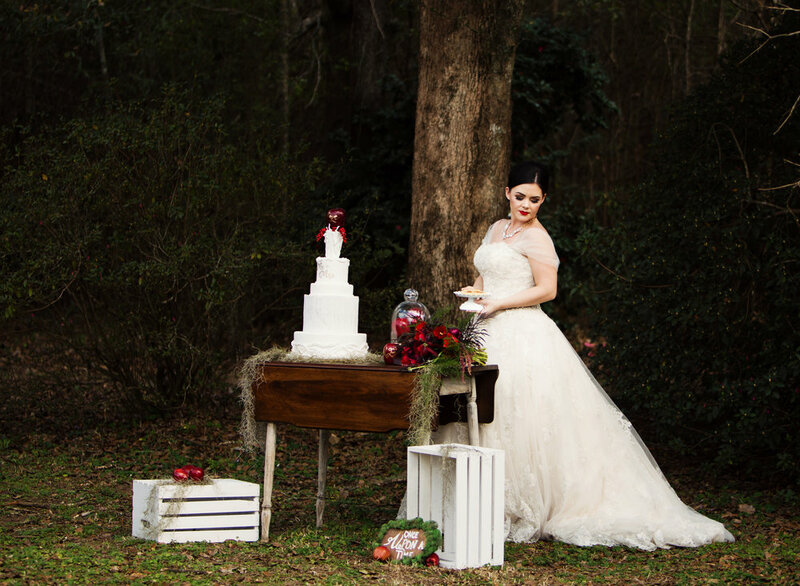 For this inspirational shoot, Windsor Ruins in Port Gibson, Mississippi caught our attention. Its history is magnificent. To have lived in that era would've been ideal, to have seen the Ruins at their best. It was said to be one of the largest antebellum homes overlooking the river! It survived wars and at one point was used as a make-shift hospital for wounded soldiers. Yet a lonely cigarette from a guest, caused Windsor Plantation to burn to the ground, leaving behind only the columns that stand today. 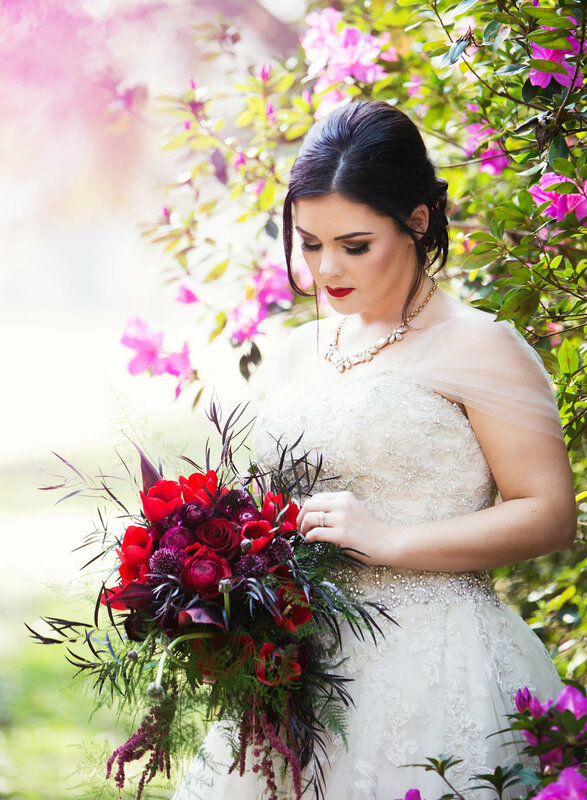 We used two different brides and grooms for this shoot, each couple tells their own story through the beautifully captured photos by Daylight Fading Photography. Our first couple, Brooke Allen and Matt Waldrop, had an intimate dinner prepared by Indulgence Fine Catering, Macadamia crusted salmon with lobster broth and buckwheat noodles. 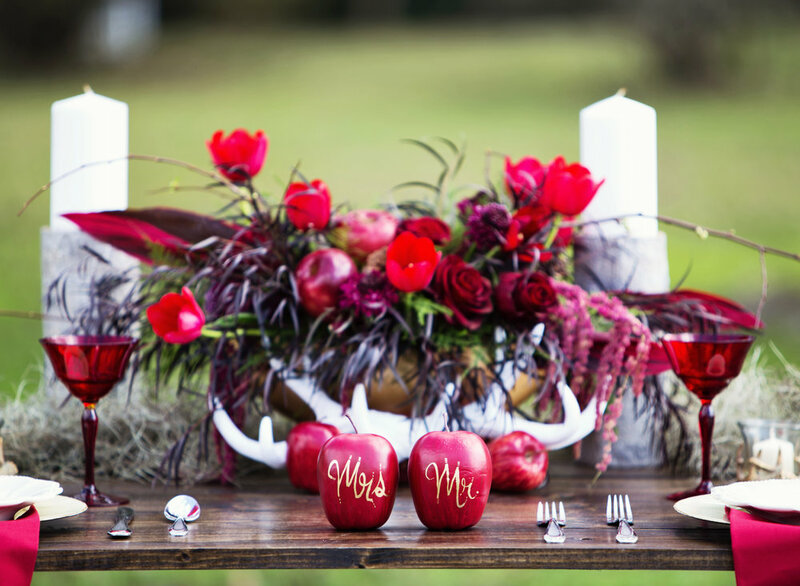 Their sweet-heart tablescape was styled by A Day To Remember Wedding & Event Planning, LLC. Virginia wanted to capture the surrounding woodlands and bring it to the table. 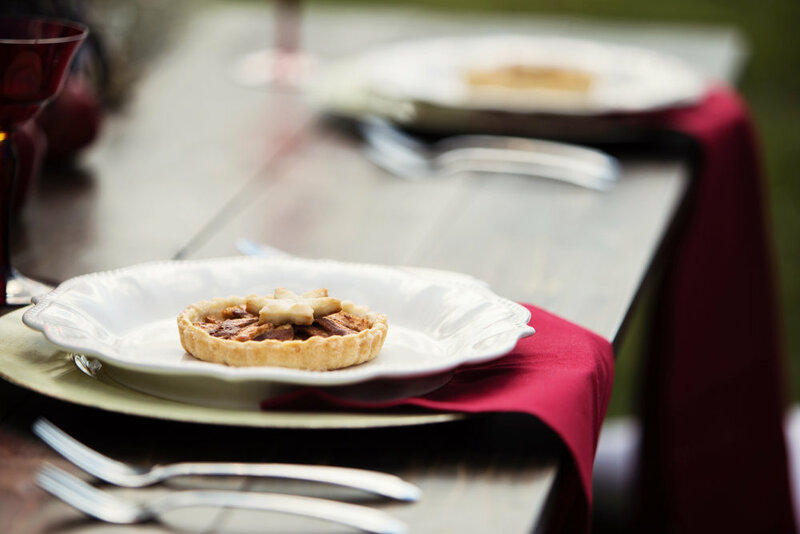 The tablescape was completed with gorgeous floral designs by The Floral Cottage. 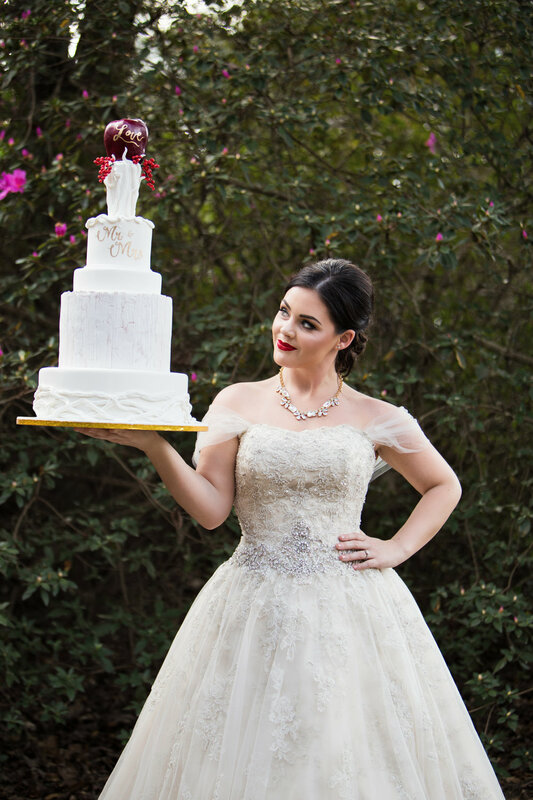 Their wedding cake tells a story of its own! Kyleen Kiger-Smith, owner of Fairy Dust Cakes, captured the Ruins and columns beautifully, without taking away from the landscape. We hope you're inspired by this shoot! Our fabulous creative team worked long and hard to capture the beauty of the surrounding woodlands of Windsor Ruins.